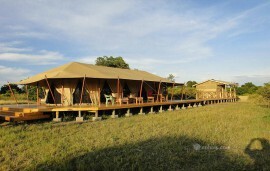 Aruba Mara Camp takes its name from the Aruba Dam in Tsavo East though it in the Masai Mara. 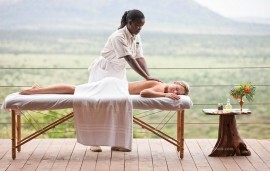 It is located near Talek gate bordering the famous Masai Mara National reserve. The camp towers over the Talek River where one can spot hippos and crocodiles below. 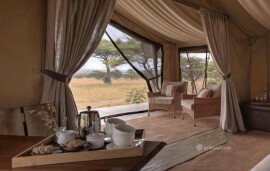 Aruba Mara Camp has 5 luxurious en suite tents. Guests can enjoy the river view and the park view from their tents. 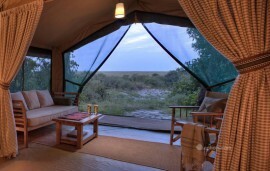 For guests who would want to enjoy a more intimate safari with nature a campsite. Game drives, nature walks, bush dining and sundowners are some of the activities guests can take pleasure in during their stay at the lodge.